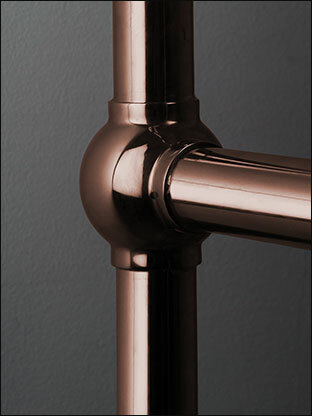 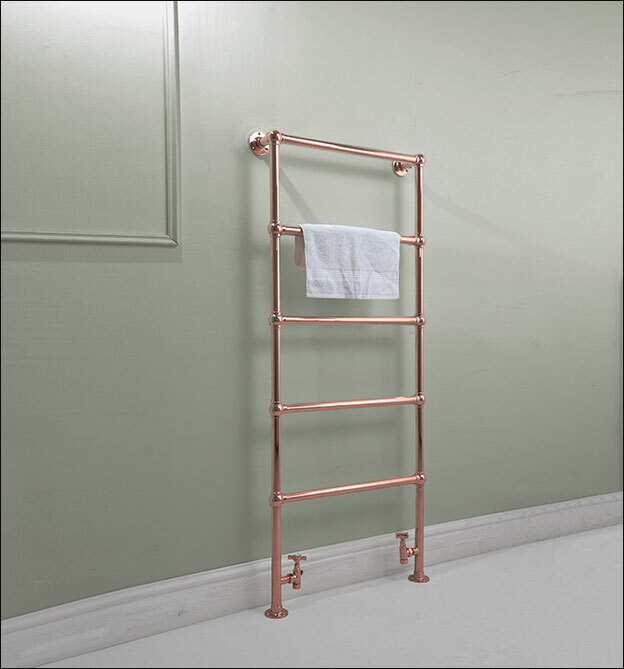 This copper plated bathroom towel rail has a traditional style with ball joint connections. 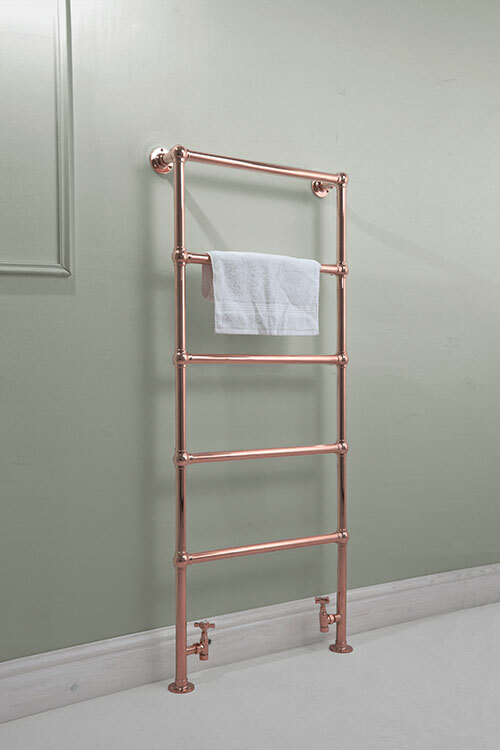 Made in Britain to the highest quality standards, the Eden Copper Towel Warmer offers a unique twist on a classic design, making it a great addition to traditional and modern bathrooms alike. 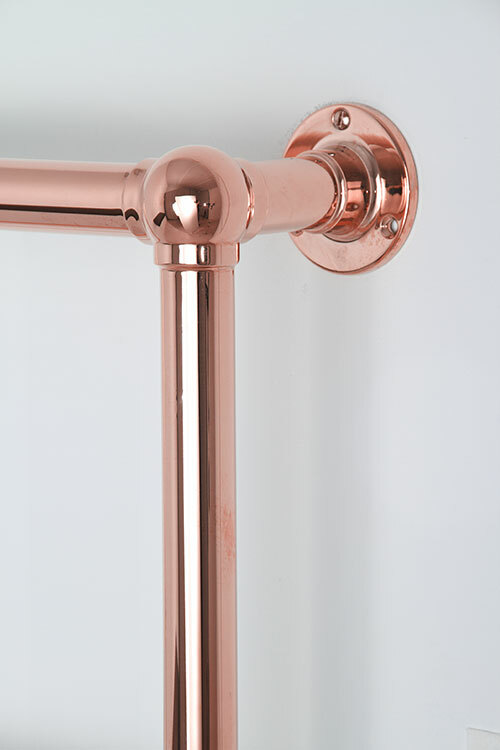 Electric only and dual fuel towel rail upgrades are also available, with hidden electric elements for a neat design. 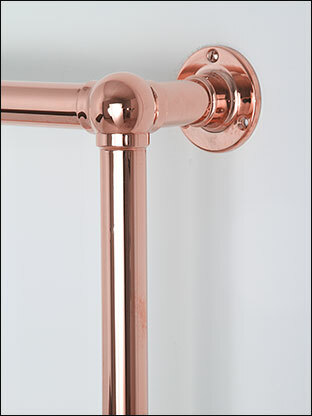 Copper plated to special order. 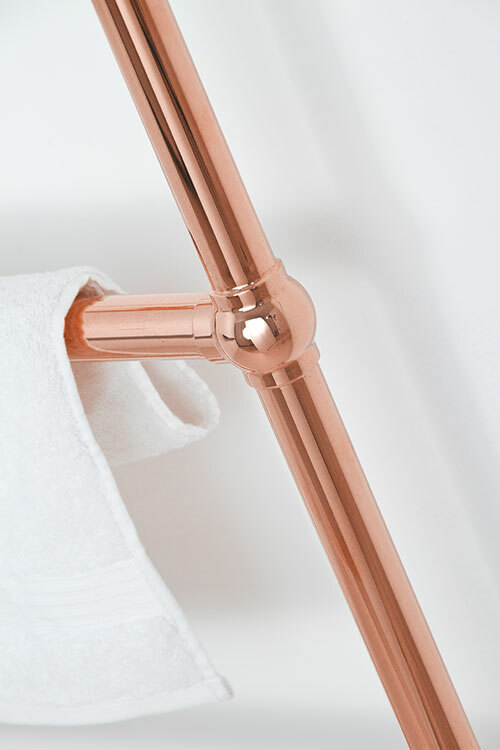 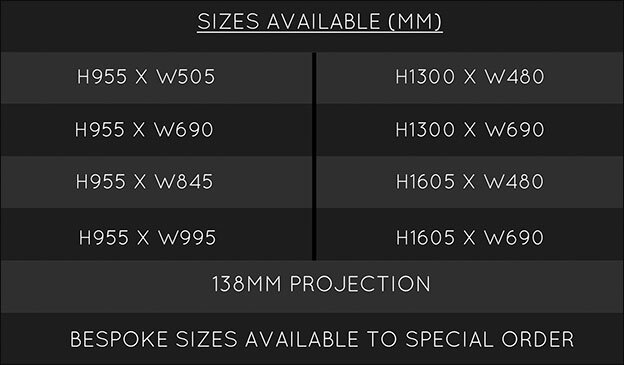 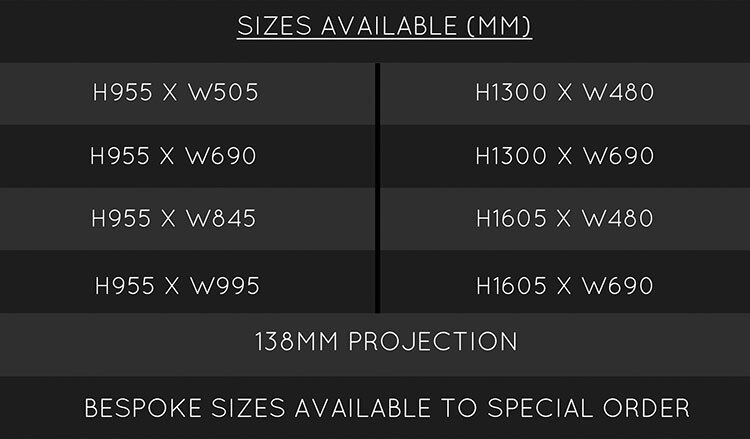 • High quality copper plating.